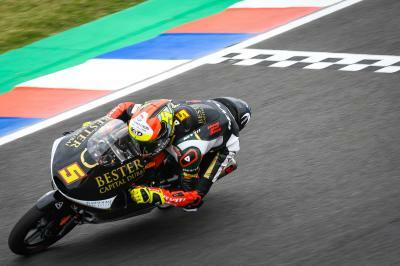 Jaume Masia (Bester Capital Dubai) will start the Moto3™ race at the Gran Premio Motul de la República Argentina on pole for the first time in his Grand Prix racing career, his 1:48.775 over three tenths clear of second place Q1 graduate Aron Canet (Sterilgarda Max Racing Team) and third fastest Tony Arbolino (VNE Snipers). What a moment for @jaume_masia! ???? 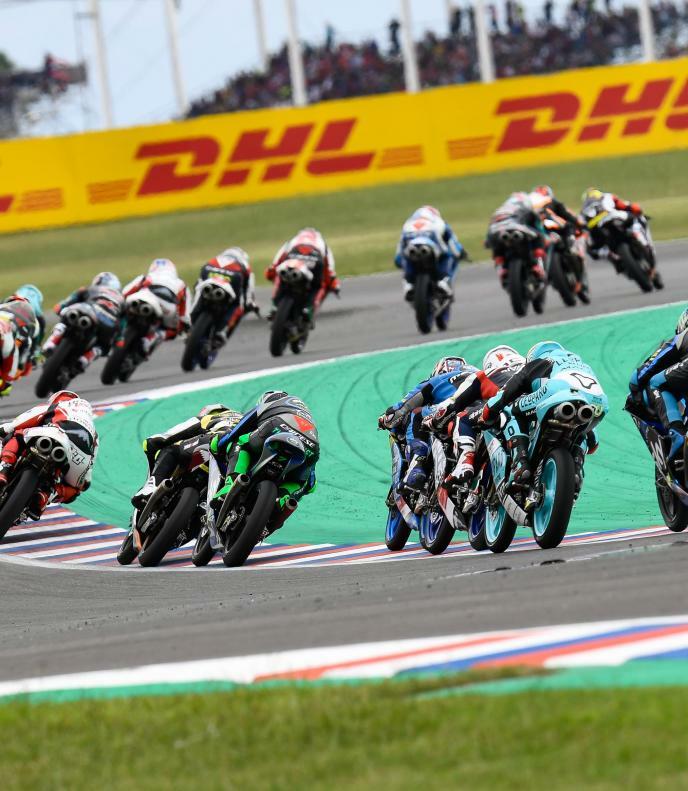 It was a slow start to the Q2 session as the Moto3™ cat and mouse games began as none of the riders wanted to be the guinea pig in qualifying. 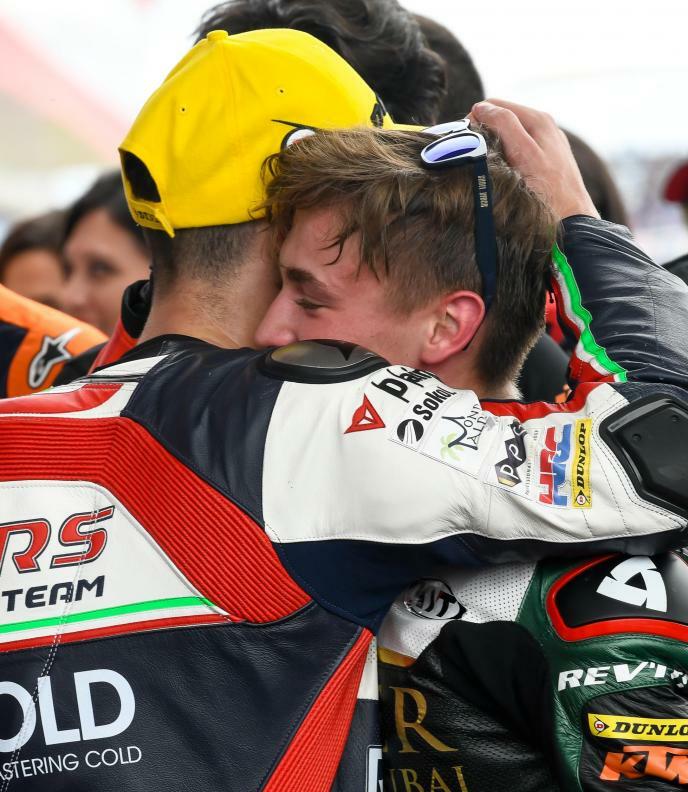 And it wasn’t until just over 11 minutes remaining in the 15-minute session before the Leopard Hondas of Lorenzo Dalla Porta and Marcos Ramirez led the field out, before most of the riders dived straight back into pitlane. The sky blue duo though stayed out and it was Dalla Porta who topped the times early on before Championship leader Kaito Toba (Honda Team Asia) went three tenths clear. With all the riders finally on track, Canet then made his move to the top, with Masia going 0.002 off his countryman shortly after. It was on the following lap that Masia would slam in the only 1:48 of the session, going three tenths clear of the rest with just over a minute of qualifying to go. 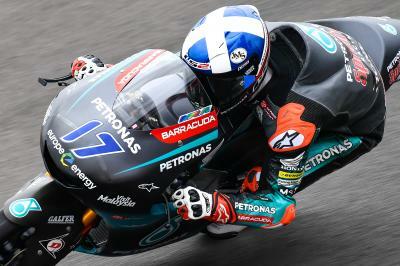 And his time wouldn’t be beaten, the Spanish teenager earning his first career pole in the Moto3™ class, with Canet’s time good enough to keep himself in the middle of the second row after the Spaniard came through Q1. On his final flying lap, Arbolino nicked P3 from Dalla Porta by a slender 0.006, the latter spearheading the second row if the grid from fifth place Niccolo Antonelli (SIC58 Squadra Corse) and sixth on the grid Andrea Migno (Bester Capital Dubai) – Migno another rider who came through Q1. 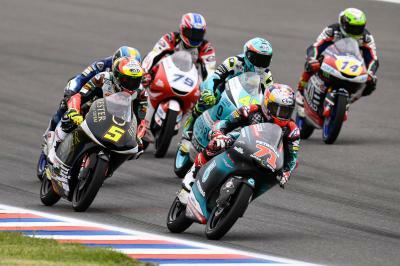 Romano Fenati (VNE Snipers) will begin the Argentina GP from seventh place, the Italian finishing 0.480 from pole, with Qatar GP winner Toba settling for P8. 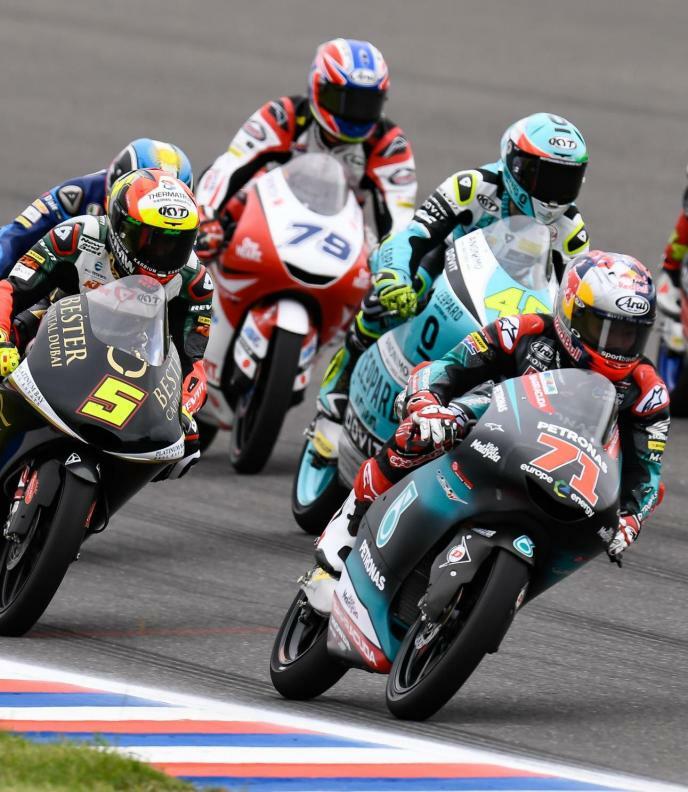 Ayumu Sasaki (Petronas Sprinta Racing) was just 0.008 behind his compatriot in P9, with reigning Moto3™ Junior World Champion Raul Fernandez (Sama Qatar Angel Nieto Team) impressing again to earn a top ten qualifying position in tenth on his first appearance at Termas. Less than a second separated the top fifteen in Moto3™ qualifying and with the likes of John McPhee (Petronas Sprinta Racing), Ramirez and home hero Gabriel Rodrigo (Kömmerling Gresini Moto3) starting from outside the top ten in 11th, 12th and 13th respectively, we’re looking set for a cracking lightweight class battle. But what will the weather bring? 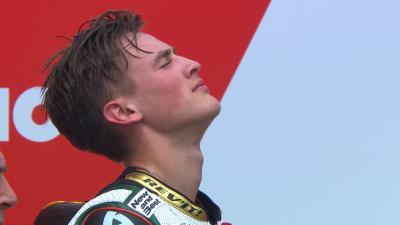 Tune in for the Moto3™ race in South America at 12:00 local time (GMT-3).